What About the “Tragedy of the Commons”? 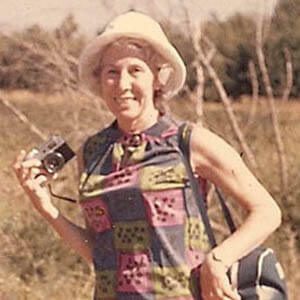 Fay Bennett was the Executive Director of Rural Advancement Fund Of National Sharecroppers Fund, now known as Rural Advancement Foundation International (RAFI). The following is a report on the 1968 trip to Israel which included Slater King and Robert Swann as well as five others who became the core group in the formation of New Communities Inc., the first community land trust in the US. Our thanks to Gus Newport and Severine von Tscharner Fleming for sharing this report with us. Of the seven delegates on the trip, five were Black civil rights leaders in the South whose major work is related to economic development for poor black people in the rural South. The main purpose of the trip was to learn about that country’s land program which made possible the settling of many thousands of immigrant families in new economically viable communities. We visited a number of these communities, talked with their residents, and saw how they lived and worked. We also met with a number of Israel’s officials, both government and nongovernment, to learn about their policies and programs. We learned about agricultural, food processing, and other industrial programs for rural people. All of the above work actively with rural poor in the South and they represent a variety of organizations. Following this meeting, the Israeli delegation will present its findings to the sponsoring agencies to determine next steps. This trip was sponsored by the Rural Advancement fund of the National Sharecroppers Fund with the cooperation of the International Independence Institute. The basic cost of the trip was contributed by the Aaron E. Norman Fund. An accounting of income and disbursements for the trip is attached. Slater King, businessman, Albany, Georgia. (Mrs. Marion T.
The purpose of the trip was to study Israel’s land program and especially that of the Jewish Rational Fund. Visits were made to the offices of the Jewish National Fund, Histadrut, government agencies, and other economic organizations. Special emphasis was given to programs relating to farming and rural activities. We visited a number of rural settlements organized through various structures. The kibbutz (the Hebrew word for group) provides for total cooperative living and working. There is no private property—except for personal items such as clothing and books. All property, work, living, eating, childcare, etc. are managed cooperatively. A second type of settlement the moshav (Hebrew word for settlement) combines individual ownership of one’s own parcel of land, house, machinery, and operations, with a cooperative structure for buying, selling, processing, bookkeeping, and providing all other needed health, educational, cultural, and social services to the community. A third type of organization, the moshav shitufi combines features of the moshav with the kibbutz. Each farmer owns his’ own small parcel which he cultivates himself (as in the moshav) while the whole group owns and operates a larger parcel jointly (as in the kibbutz). Services to the farmer and the community are cooperative as in the moshav. Processing plants and small industrial developments were a part of practically all kibbutzim and moshavim. Basic to all this cooperative development is the Jewish National Fund and its unique policy of leasing land in perpetuity. Our first meeting in Israel was with Mr. Jacob Tsur, president of the Jewish National Fund, at their headquarters in Jerusalem. Mr. Tsur pointed out that the Jewish National Fund is only concerned with land: buying and reclaiming land, draining swamps and lakes, removing rocks from the hillsides, planting trees on land that cannot be farmed, making use of rocks for terracing. The usual cost of reclaiming land averages $200.00 an acre. Where the land is very rocky and reclamation more difficult, the cost may go up to $1,200.00 an acre. The land is then leased on a nominal basis to individuals or organizations. The return on the land is usually about 10 per cent. The individual or organization has a forty-nine year renewable lease on the land. The land can be passed on to the heirs, although it may not be sold, if a farmer wishes to leave the land, he can reclaim his equity from the buyer. The Jewish National Fund makes the final decision on who shall acquire the land and insures that it is productively used. Approximately 15 percent of the total Jewish population in Israel lives in agricultural areas and works the land. The percentage of Arabs in Israel engaged in agriculture is 40 percent. We had several meetings with Mr. Shimon Ben Shemesh, director of planning for the Jewish National Fund. Mr. Ben Shemesh said that while the Israeli government also owned and leased land, the Jewish National Fund, which is a private agency, was by far the most important factor in the success of Israel’s land program. The Jewish National Fund has been in existence since 1901 and its activities were well established by the time the Israeli government was formed in 1948. JNF plans the division of the land, providing equal leaseholds in a particular plot. The size of the leaseholds depends on their use and the acreage necessary to yield a fair profit. JNF also plans land use to provide needed community services. The rent covered by the lease is approximately one-half percent. A leaseholder may mortgage his equity in his leasehold for a constructive purpose, with the permission of JHP. He may not mortgage the actual land, although he may mortgage any structures or equipment that he owns. Mr. Zev Haring of Histadrut pointed out that of Israel’s two million five hundred thousand people, one million are members of Histadrut, the general labor federation. This comprises 88 percent of Israel’s wage workers and 60 percent of the total population of Israel. We learned that Histadrut is much more than a labor federation. It is a non-governmental agency and as an over-all social institution it helps create jobs, promotes production, and develops the nation’s resources. Histadrut integrates trade union, economic, social, and cultural activities of its members. It is not a federation of trade unions, but an organization of individual members. Its Individual members also belong to one of the forty trade unions in the country. Among its membership are 300,000 women. The trade unions belong to Histadrut’s Trade Union Department. Approximately 46 percent of Israel’s economy falls within the public sector. Of this, half is controlled by governmental bodies and half by Histadrut. The municipalities control some of the public sector of the economy. Host basic industries, including electricity, gas, water, agriculture, and transport, are owned by cooperatives, all of whose members belong to Histadrut. The public sector found it necessary to develop the nation’s resources in order to attract capital. Israel has two nationalized companies. These control electricity and fertilizer. Histadrut has one and a half billion Israeli pounds in its pension funds. These provide investment capital as well as loans to members for constructive purposes such as buying houses. Histadrut has a housing department which b housing below the market price for low-income people. While Histadrut has one million members, two million persons are members of its sick benefit fund. One dues payment covers all benefits, which include family insurance, sick benefits, health insurance, and educational and cultural programs. Kibbutzim: These are cooperative settlements where everything is owned in common and all work is under the direction of the kibbutz. The kibbutz is a highly organized and very democratic structure. Every member has a vote and participates in regular meetings where officers and committees to carry on the work of the kibbutz are elected. Persons are assigned to jobs on the basis of their skills and the needs of the kibbutz. Jobs are rotated to provide variety. The basic purpose of the kibbutz is agricultural production. Usually processing plants and other light industry have been developed by the kibbutz to provide employment and income. Moshavim: The moshav incorporates the individual farm ownership and operation with the benefits of cooperation in buying, selling, processing, and community services. Thus, a moshav whose members might engage in dairy production would take their milk to a central processing plant where the raw milk would be filtered, cooled and transported to a larger central plant for pasteurizing and bottling. Poultry farms would send their eating and hatching eggs for separate processing at a central plant, which might include incubators as well as equipment for candling and egg packing. Moshav Shitufi: This type of moshav provides for owning and operating one’s own small farm together with cooperative use of common land. In this case a family might have five acres on which to raise turkeys, chickens and cows, which takes only part of the farmer’s time, or which can be maintained by the farmer’s wife. The rest of the farmer’s work time is given over to the cooperative farming or industrial enterprises of the moshav as is done in the kibbutz. In the moshav shitufi all buying, marketing, processing, etc. is centrally done by the cooperative. In both types of moshavim all services are cooperative. These include health, education, cultural, and other community services. Bookkeeping: We were greatly impressed with the expert bookkeeping and accounting services rendered by the central cooperative to the individual farmers in the moshavim. All expenditures and all income for any given farmer are entered on his account. The farmer is supplied with a monthly accounting showing his net income or loss. He can also determine the costs and income for each of his operations. A similar close cost accounting system is used in the kibbutzim. The spokesmen for these cooperatives stressed the great importance of accurate record keeping. Thus, if a particular operation in agricultural processing or industrial production was losing money, ways could be found to put the operation in the black or it would be eliminated. We were also impressed with the technical assistance given to these enterprises. They had the help of experts from government agencies, Histadrut and the kibbutz and moshav headquarters. The underlying principle of the Jewish National Fund, namely, that the land is held in trust for all the people of Israel in perpetuity and is not to be bought and sold in speculation, is paramount. We believe that a structure based upon a similar principle is needed to make possible the acquisition of tracts of contiguous land in the rural South on which to resettle displaced sharecroppers and tenant farmers and to make possible the development of communities with, a viable economic base. Sign up to get regular updates from the Schumacher Center. Since its founding in 1980 the Schumacher Center has been a leading voice for building local economies. The Schumacher Center for a New Economics is a 501(c)3 tax exempt organization. Donations are tax-deductible and can be made for general support or for specific programs. © 2019 Schumacher Center For New Economics. Website by Radish Lab and MRW.